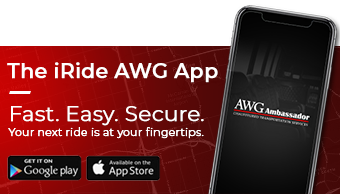 I've worked with many transportation companies in my time here and NO ONE compares to AWG. Whether it's a large group of hundreds or individual bookings, my reservations have always been 100% correct. My favorite agent is Stephanie Glass so if you get to work with her, you can guarantee you won't need to worry about your transportation, but of course the entire company is really wonderful. They have a great fleet and nice drivers from what my clients have told me so make sure you book with them! !